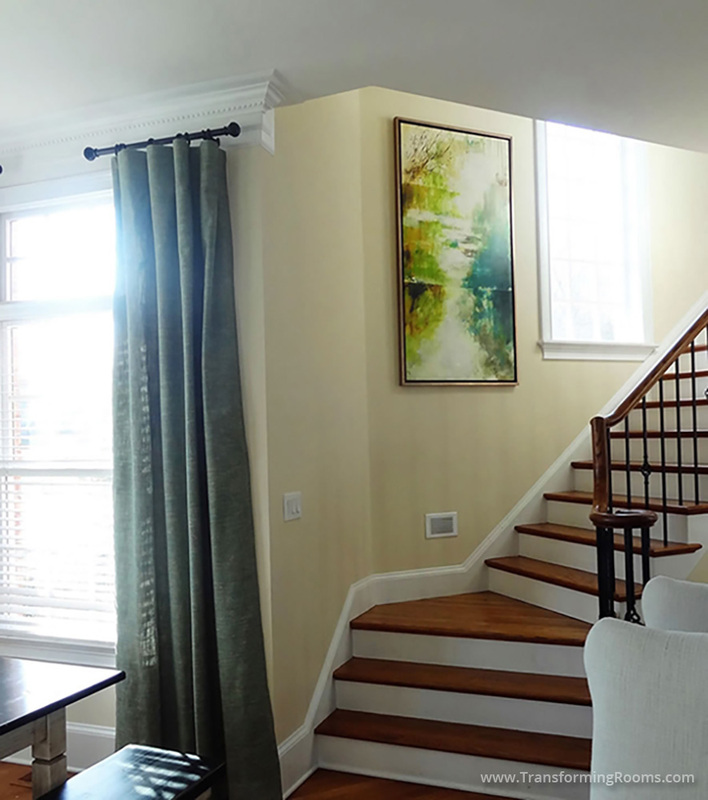 Our beautiful art and custom drapes make a room feel more inviting. 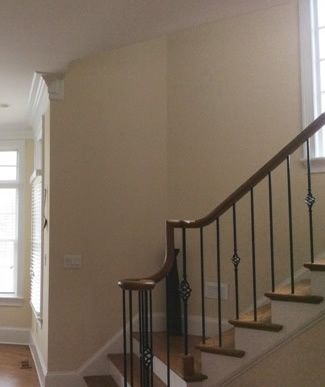 Notice how the art invites you to the stairway landing. Pro football player William Hayes asked us to update his rooms, without a desire to paint walls. Through art and drapes we were able to creative a sense of unity though out the first floor.